After a week full of allegations and speculation surrounding the Delhi and Districts Cricket Association (DDCA) and the Aam Aadmi Party (AAP), reports of AAP exposing the ex-DDCA treasurer and present Hockey India President Narinder Batra, allegedly involved in corruption are emerging. It is not the first time that some political members have complained about the irregularities in DDCA. In 2012, BJP MP Kirti Azad wrote a letter to then DDCA president Arun Jaitley complaining about the same in a detailed format. However, the present Union Minister of India, Arun Jaitley, failed to acknowledge the complaint and allegedly did nothing to cap corruption in his 14-year tenure as the president of DDCA. 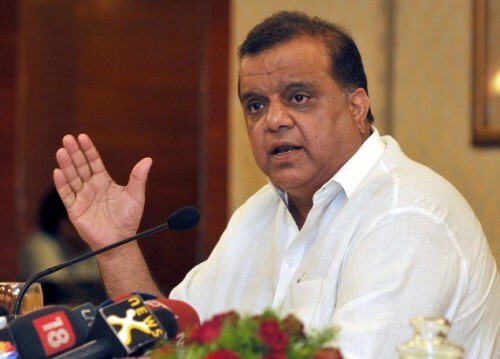 However, Narinder Batra rubbished all the allegations in 2012 and said, “He (Kirti) has sent names in a list which is completely forged and fabricated. A reply to this has already been sent. Out of nine members mentioned, these are either Jaitley's family members or some other outstation members who have given their local address,” as reported by TOI. Last week, the Delhi Government set up a 3-member committee to look into alleged corruption and financial mismanagement within the DDCA. Earlier, Arvind Kejriwal's Aam Aadmi Party(AAP) has also alleged that there were financial irregularities when Mr Jaitley was the president of the DDCA or Delhi and District Cricket Association for 13 years till December 2013.